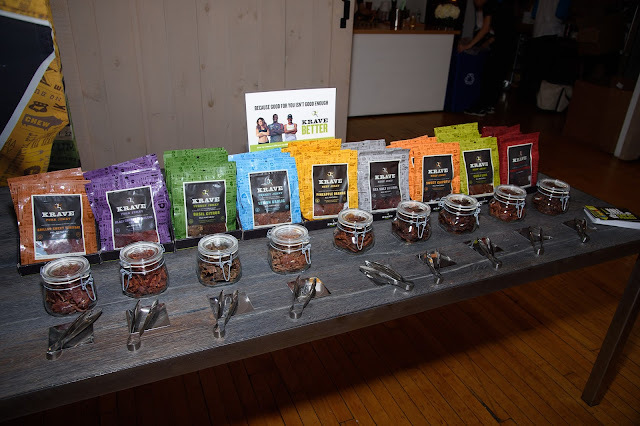 I was invited to attend the Krave Jerky and Jillian Michaels Event. Jillian Michaels is a health and wellness expert. 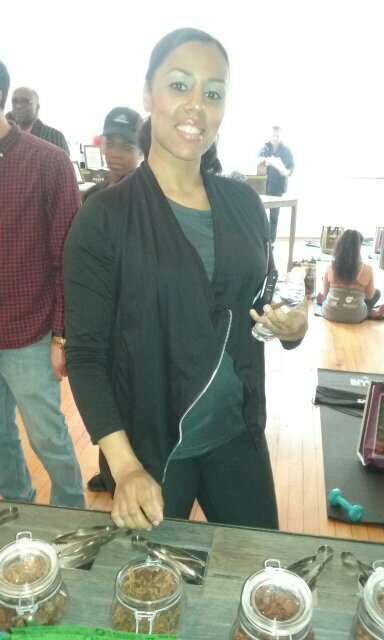 She has done many workout DVDs and was a trainer on The Biggest Loser. Krave Jerky had a thirty minute interactive workout session that was led by Jillian Michaels. The workout was intense and I loved it! I had worked my entire body. She is a good in training and helping to work the problem areas. Jillian counted up to ten and changed workout routines. This was great to take a few breathes and continue to the next routine. I did meet Jillian Michaels and want to share a picture we took together. She was a pleasure to meet. After the workout, I checked the healthy bites from Krave Jerky. Krave Jerky has different product flavors. Their product goes perfect with eggs, salad, and can be added into many recipes. Their line of flavors are available in their website at www.kravejerky.com/all. They are high-protein and under 90 calories per serving. I got to try different varieties of Krave Jerky. 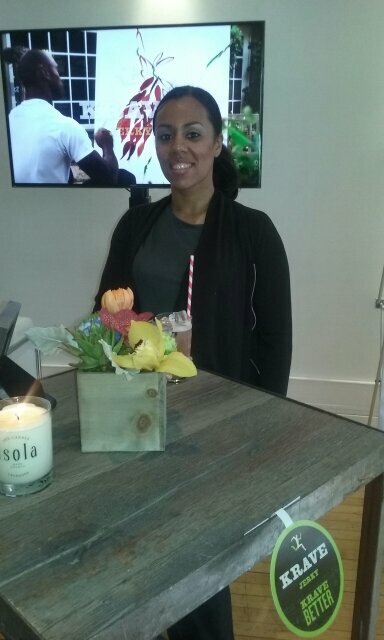 They had a display of their products and samples. They come in pork, turkey, beef and with different added ingredients for flavor. Their products are available in different sizes from Krave Jerky - 3.25 oz, Krave artisanal, snack size multi-packs, Krave power pack and Krave samplers. Krave Jerky treated me with their food. They had Bluehill Wafers, Altitude Training and Botanical Gardens. 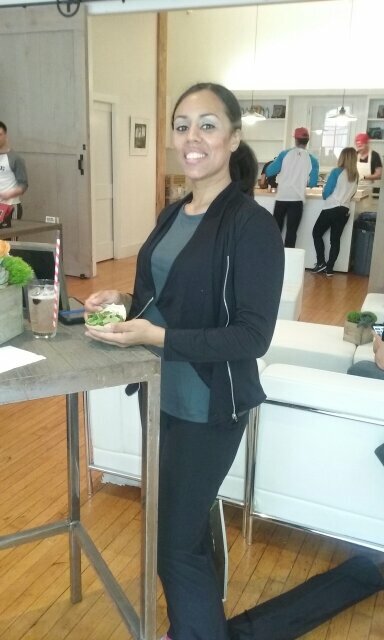 The food was tasty and great after a great workout. Each food recipe included some of their Krave Jerky. The recipe is provided above for you. I mingled with others and checked out their cocktails. 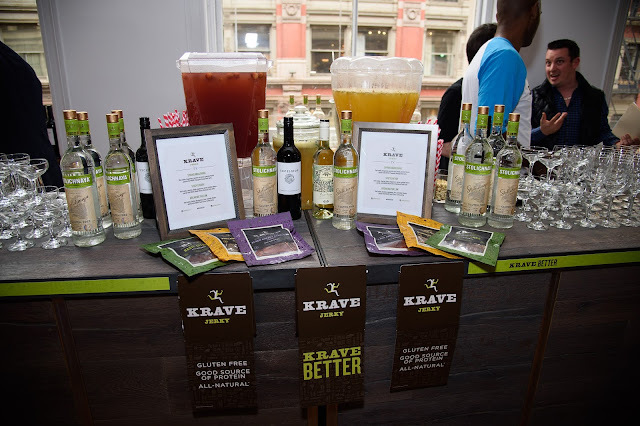 Krave Jerky beverages were Spring Awakening, Spicy Cherry and Breaking the Law. I had tried their Spicy Cherry. It had a cherry flavor and sweet but not overwhelming. It really tasted good! I had invited my friend to attend the event with me. We both had a good time. Everything was perfect to a great #KraveBetter event! Checkout for product offers, wellness information and more follow Krave Jerky and Jillan Michaels on Instagram. We love Krave jerky. Especially because it is gluten free and my daughter can enjoy it with the rest of the family. Must have been a wonderful experience with Jillian Micheals ! And you got to enjoy a delicious snack as well ! I bet Jillian Michael's made you all workout every muscle. I have never heard of Krave but now will be looking for it at my local store. I have a Jillians Michaels workout video that I use and it sure does help me burn the calories, and I'm so jealous because I would LOVE to meet her in person. I also love a good jerky but have never heard of Krave before. I'll have to see if I can find them the next time I'm at the commissary. oh man i love jillian michaels. she is amazing and touch. 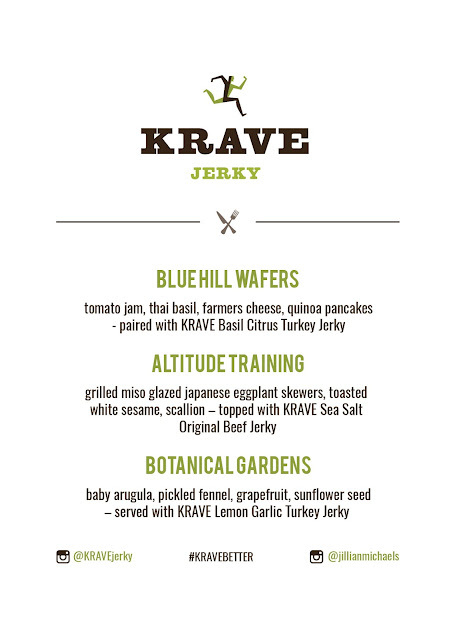 It would be amazing to go to a Krave Jerky and Jillian Michaels event. 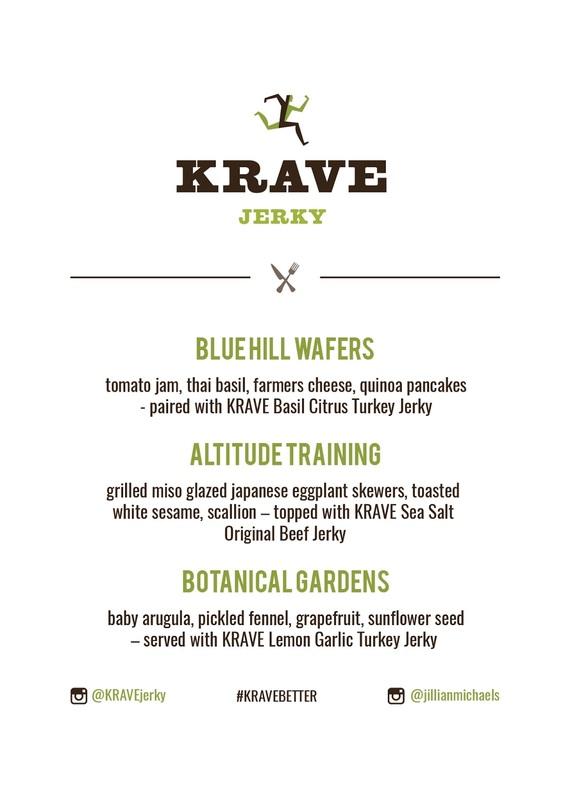 I have to say that I've never heard of Krave Jerky but I'd love to try it. I would've loved to been at an event with Jillian Michaels. Her energy and motivation is so awesome!! I tried some Krave Jerkey a while back and it was really tasty! love their unique flavors and different options. I would love to meet Jillian Michaels!! What an amazing event to get to attend and take part in. Wow! I would love to go to a fitness event like this especially one hosted by Jillian Michaels. I've always loved her energy on The Biggest Loser. I did not know Jillian Michaels had a product called Krave. I have seen her infomercials on TV and she looks awesome. I like her positive attitude too.. This looks like it was a great event. I love that they use the jerky and create recipes with it instead of just eating it alone. This sounds like it was indeed an awesome event I would have loved to attend. I love any type of jerky and Jillian. These Krave Jerkys I am going to have to try. Thanks for sharing your experience. Sounds like you learned a lot about your body and had a great work out. I can see why Jillian Michaels has been so successful. What a fun thing to go to. 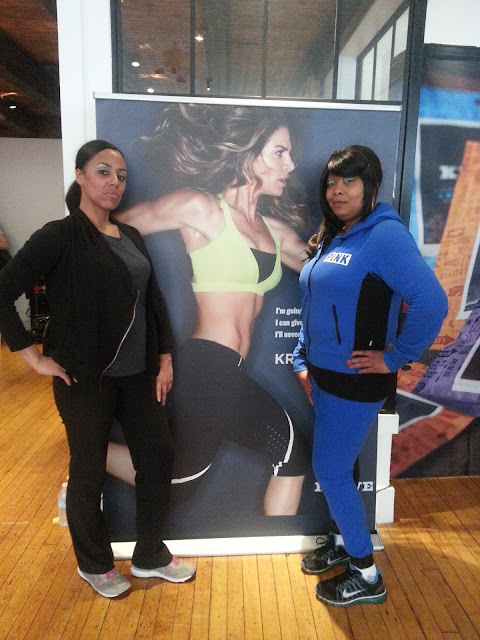 I haven't tried Krave Jerky yet but it was so nice taht you were able to meet Jillian Michaels in person!